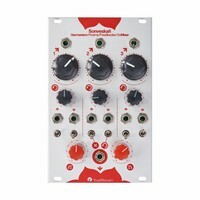 The TouellSkouarn Sonveskan is a three-channel mixer, which features a dual gain stage, voltage controlled feedback, mute and a direct outputs per channel. 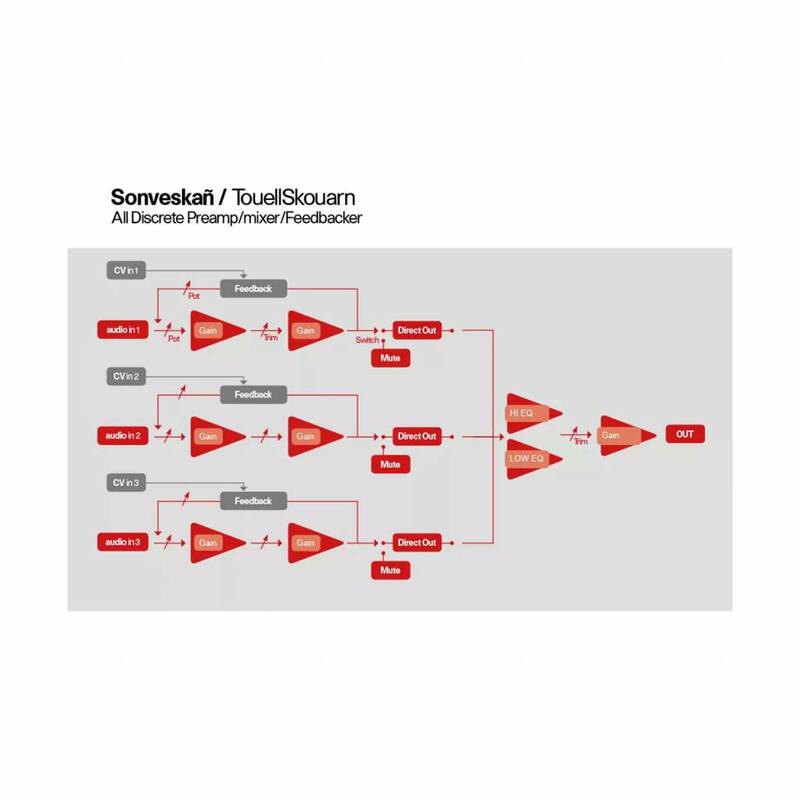 The Sonevskan uses geramnium transistors for the amplification, fans of distortion and feedback will be very pleased with this module. 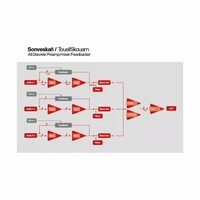 Each channel has a signal input with a level control which for sure adds some germanuim transistor distortion. De facto the signal passes not one but two gain stages. 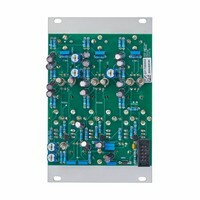 The gain fo the second one can be adjusted to your desires by a trimmer on the circuit board. 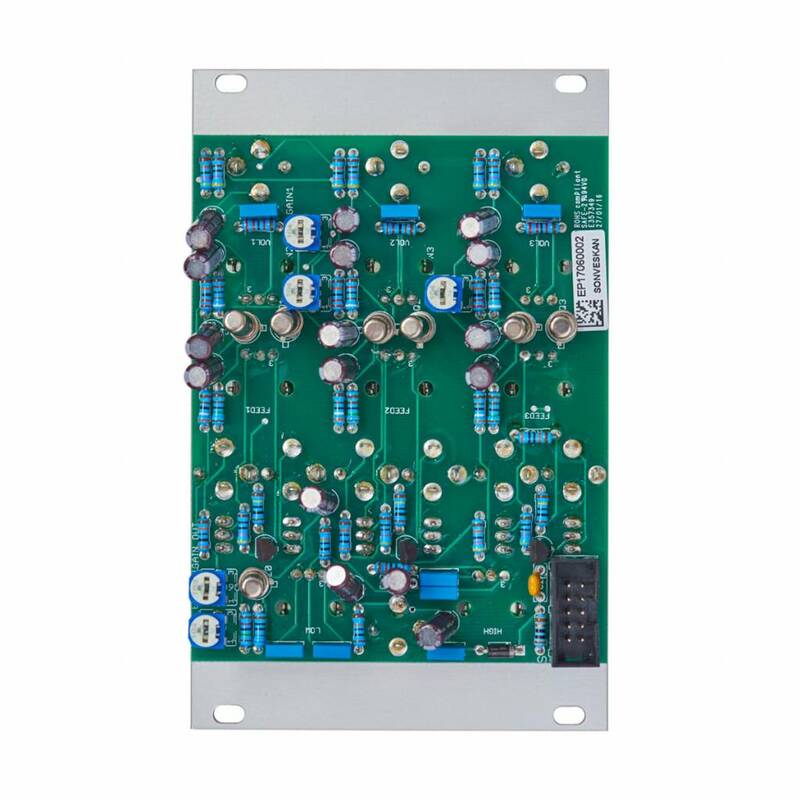 The pre-amplified signal is available at an unbuffered direct output. Below the gain control there's a control which determines the amount of feedback, or if a feedback CV is used it acts as a modulation amount controller. 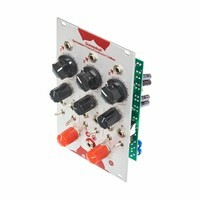 The feedback can be switched off immediately with a switch and another switch mutes the channel. 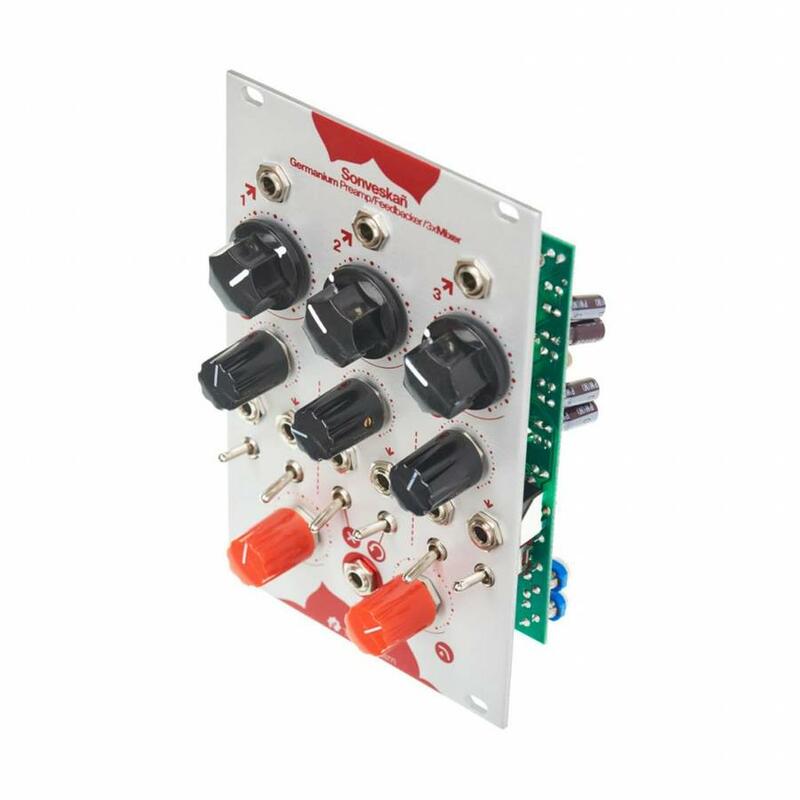 Because of the direct outputs you can use each channel as an individual distortion/preamp. 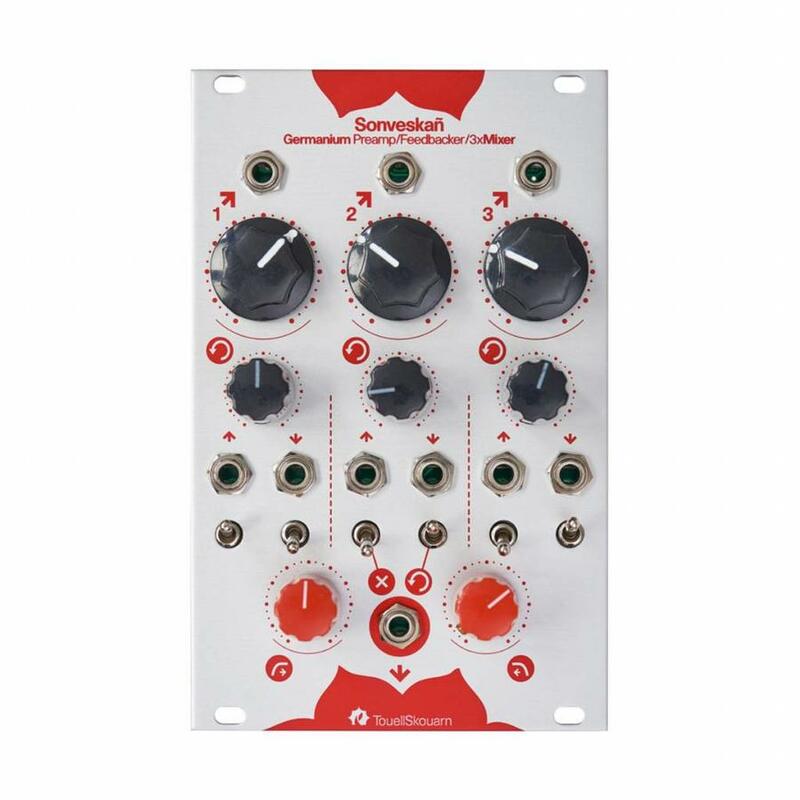 The three channels are mixed and then are processed by an EQ featuring potentiometers for low and high frequencies. The processed signal is available at the mix output.